Want to be on the bleeding edge? The Beta channel contains new features and bug fixes before they land on the stable channel. It is intended for developers and early adopters. Keep your current Atom configuration when using Atom Beta. New Beta releases are available regularly and installed automatically. 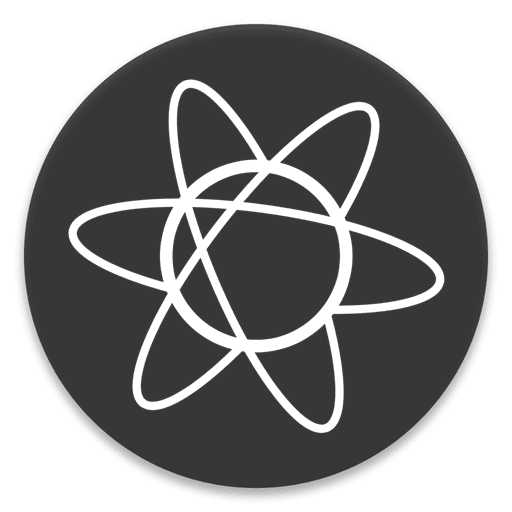 Note: You can download the latest stable version of Atom here. Atom is composed of over 50 open-source packages that integrate around a minimal core. Our goal is a deeply extensible system that blurs the distinction between "user" and "developer". Don't like some part of Atom? Replace it with your own package, then upload it to the central repository on atom.io so everyone else can use it too. Electron has been upgraded to version 2.0. Atom now automatically honors your operating system's color profile. You can use the new Color Profile setting to customize this behavior. Active editors are now updated when experimental Tree-sitter grammars are toggled in settings. Shell environment variables are now carried into Atom when launched from PowerShell or Windows Command Prompt. The Find in Project results view now groups adjacent matches and highlights multiple matches on the same line. Commit message preprocessing has been substantially revisited, preserving newlines in amended commits, preserving # comments in commits composed within the mini editor, and respecting your commit.cleanup configuration when committing from an expanded editor. "Large" file patches are identified by byte count, not line count, of the patch body. This prevents performance hiccups when navigating past files with large diffs in a relatively small number of lines. Avatars are now supported for users who are using the newer-style anonymized email addresses. The language-html package now supports GraphQL script tags and multi-line style attributes. CriticMarkup syntax is now colored correctly in Markdown files. Fixed an issue where files in a Git repo might be locked or corrupted. The placeholder glyph that appears when reordering tabs is now much more responsive.